Operating Hours: First departures between 9 and 9.30am from any stop. Last departures 7pm (Winter), 8pm (Summer). See timetables posted at the stops. 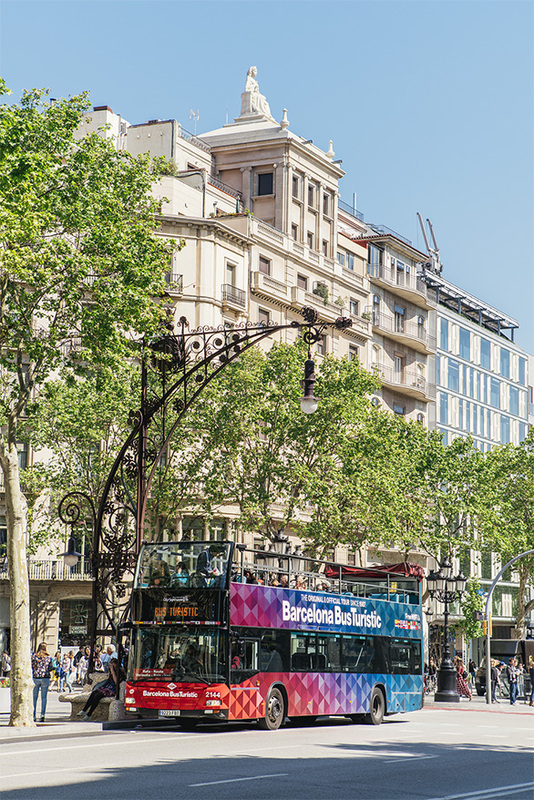 Barcelona Bus Turístic is an open-top double decker bus. There are three routes in the same ticket and you will hop on and off where you want. Open to all, this sightseeing service is designed so you can discover the city's exceptional sites and experience Barcelona the way you want to. There is an audioguide in sixteen languages and you will receive individual headphones. You will receive discounts to visit other attractions in Barcelona.